Eco Life Products design, supply, and install across mainland UK, and with a 100% customer satisfaction rate, you can rest assured you’ll love your new fences. Free delivery on orders over £700! Eco Life only use the next generation high quality form of composite fencing, guaranteed to reduce all upkeep tasks, such as repairing, painting, and replacing. With a superb life-time, you can create a garden that’s always beautiful and requires no upkeep to stay that way. 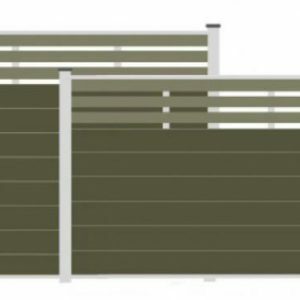 Get a premium finish to your outdoor/garden project, and update old wooden fences with high quality composite fence panels from EcoLife. 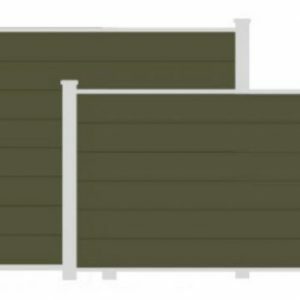 Over the life-time of our fence panels, comparing them to standard wooden fencing, you should save several hundred pounds and dozens of hours of maintenance time. When you compare that to the £0 maintenance and upkeep costs of composite panels, it’s easy to see two very strong reasons why you should upgrade. 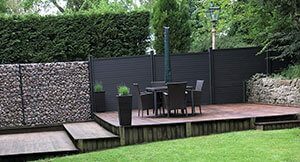 Another benefit of this type of fencing, is the fact it will never rot like wooden fences would, and yet it can still look as warm and natural as a timber panel due to a high quality wood grain finish. You should easily get a perfect fencing that requires no attention for around 20 years, making it a sound investment for any project. 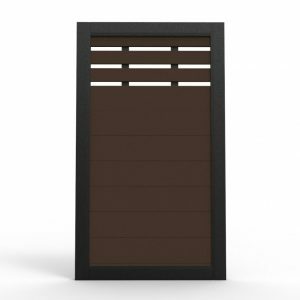 Due to the panels robustness, and that they dont require painting, these panels often go by other names such as ‘eco fencing panels’. However, composite is not the same as UPVC or plastic fencing, they are a cheap alternative usually described as ‘plastic’ which are a much lower-end product. 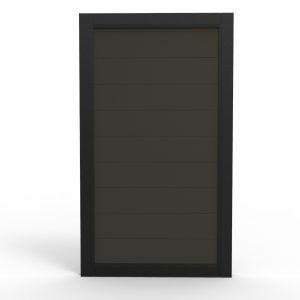 Eco Life’s solution is a premium product, that drastically outperforms other solutions and is made from a completely different material altogether. 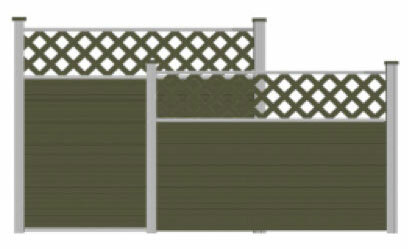 4/4 Is it suitable for my garden/project? Whether your garden is big or small, (or massive! 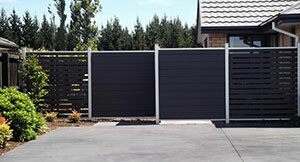 ), and whether it’s flat, or sloping, we can create a perfect finish using composite fence panels. 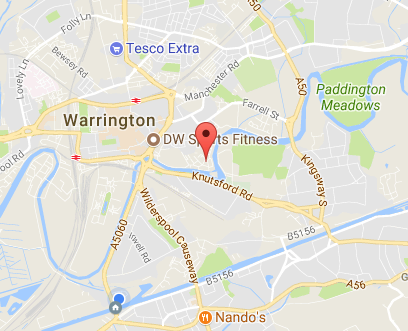 Our experienced design and installation team will come and measure using high accuracy lasers, and provide you with your own unique CAD drawings which are followed to the dot to guarantee a great looking finish every time. We can complete projects that have no existing fencing at all, or we can retrofit existing solutions replacing old panels when needed. Our solutions come with a variety of colours and finishes, as well as decorative tops, meaning you can go modern whilst still looking unique.